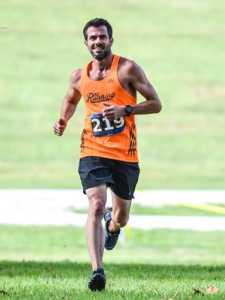 Ran track and cross country in high school and college, but took a break from running for many years and found the love for running again in my mid-30’s. I steered clear of distances over 5k and vowed to never run a marathon, but then in 2009 ran my first marathon and have since run 16 marathons, including 5 of the 6 majors. In 2017, I became running coach for Team Sprint and our CEO. My renewed love of this sport has brought so many amazing people and opportunities into my life. These relationships and experiences are the most important benefits of running to me! My running goals include staying healthy, continuing to chase masters PR’s, re-introducing track and cross country, racing an ultra, and building relationships within the sport.